Canada’s Corus Entertainment has given the go-ahead for season three of its original series Private Eyes. The third run of the investigative drama, produced by Canuck company Entertainment One (eOne) in association with Corus, will begin production in spring 2018. Private Eyes is exec produced by Jocelyn Hamilton and Tecca Crosby for eOne, Shawn Piller and Lloyd Segan for Piller/Segan, and Alan McCullough, among others. McCullough and Piller are also showrunners. 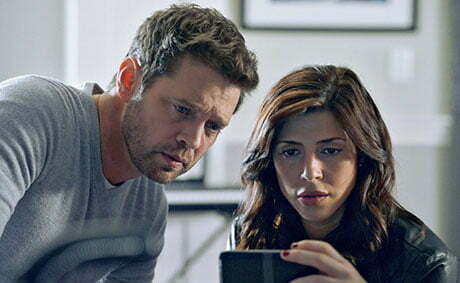 Set in Toronto, the drama follows detective duo Matt Shade (Jason Priestley) and Angie Everett (Cindy Sampson) as they attempt to crack cases. eOne, which controls international rights to the series, has sold Private Eyes to more than 110 territories around the world. The news follows the confirmation of a second season for assisted-suicide drama Mary Kills People.